The Institut des Communications has not updated its ICT statistics section since 2013 and doesn’t track revenues. 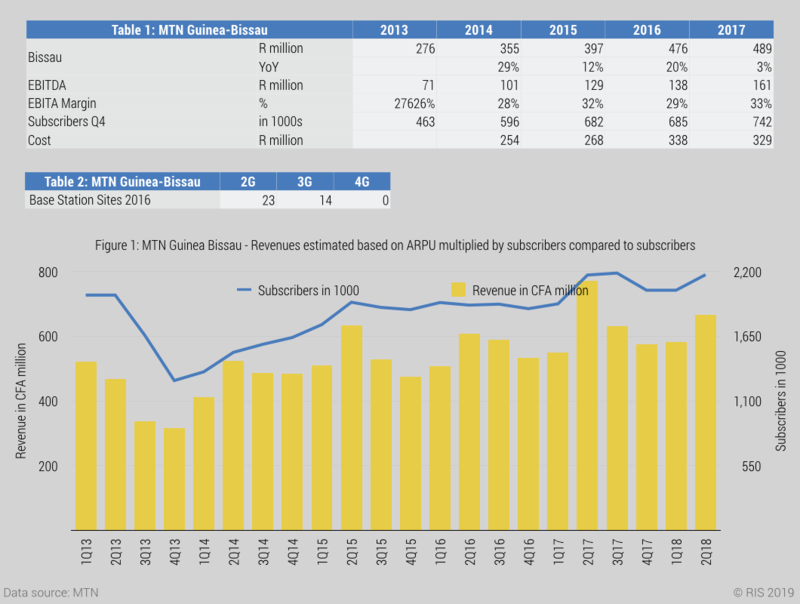 MTN revenues have increased steadily. MTN’s 2017 EBITDA margin of 33% was the highest in the last five years (Table 1). A spike in subscriber numbers in Q2 2017 shows as a spike in revenues as well. 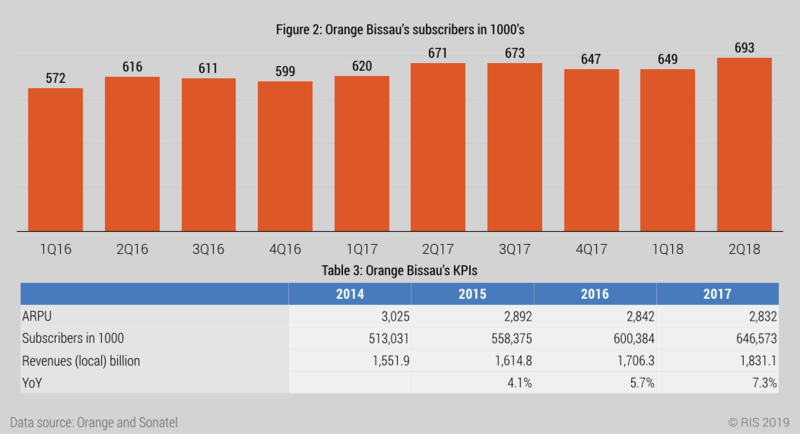 Similarly, a spike in subscriber numbers in Q2 2015 also shows a spike in revenues. Sonatel’s revenues have increased since 2014 and subscriber numbers have also increased (Table 3). Revenues have increased significantly since 2013. 3G and 4G coverage is low, showing that Bissau is not well placed to take advantage of growing data demand.